Colors are one of the most beautiful and also one of the most under-appreciated aspects of the physical realm. We are surrounded by colors, but how often do we notice the numerous subtleties in the myriad shades. Spiritually, color can impart both information – as in aura colors, and energy – as in healing. The aura is the spiritual energy field surrounding living beings which is “visible” to the psychically sensitive. This short article presents the meanings generally associated with the most common colors. Use these meanings as a starting point in your own explorations. We are each unique individuals and colors may hold different meanings for us than for others, just as a piece of music inspires different feelings in different people. Use colors to promote those qualities you wish to emphasize. Use them in your surroundings for qualities you wish to emphasize permanently. Wear clothes of appropriate colors to promote those qualities in a particular situation. You can also use colors simply by visualizing them, whether to promote their qualities or to exploit their healing energy for yourself or others. Red symbolizes energy, passion, strength, courage, physical activity, creativity, warmth, and security. It is also associated with aggression. In healing, use red to bring warmth and burn out disease. Red is a powerful color and should be used in moderation. In the aura red signifies materialism, materialistic ambition, a focus on sensual pleasures and a quick temper. Orange symbolizes the individual’s relationship to the external world, the needs and wants of the physical body and the ways in which these are satisfied, the world of work. In healing orange may increase immunity and sexual energy. In the aura orange signifies thoughtfulness and creativity. Yellow symbolizes intellect, creativity, happiness and the power of persuasion. It is also associated with cowardice. In healing use yellow to promote clarity of thought. In the aura yellow signifies intellectual development, for either material or spiritual ends. Green symbolizes money, luck, prosperity, vitality and fertility. It is also associated with envy. Green is the color of healing; it is beneficial in all healing situations. In the aura green signifies balance, peace and often indicates ability as a healer. Blue is the color of spirituality, intuition, inspiration and inner peace. It is also associated with sadness and depression (the “blues”). In healing blue is used for cooling and calming, both physically and mentally. In the aura blue indicates serenity, contentment and spiritual development. Indigo is associated with psychic ability. In healing, use indigo for relaxation, reassurance and promoting psychism. In the aura indigo signifies a seeker, often of spiritual truth. Purple is associated with power, both earthly and spiritual. In healing, purple is used for mental disorders and also for becoming one with Spirit. 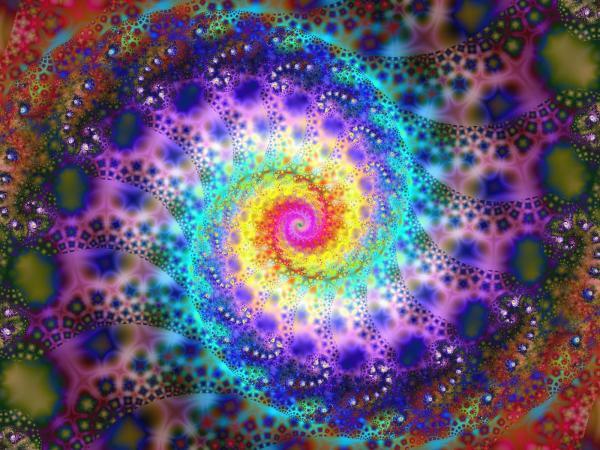 In the aura purple signifies higher spiritual development. White is associated with truth, purity, cleansing, healing and protection. It is a good general healing color for the removal of pain and suffering. In the aura it signifies a high level of attainment, a higher level soul incarnate to help others. Gold represents understanding and luck. Remember though that nothing comes from nothing, It is the most powerful healing color, but so powerful that many are not able to stand it initially and must be conditioned to it via other colors. In the aura it represents service to others. Pink represents unconditional love, love requiring nothing in return. It is also the color of friendship and conviviality. In the aura it signifies balance between the spiritual and the material. Brown is the color of the earth and represents practicality, material success, concentration and study. In the aura it indicates “down to earth-ness” and common sense. Black is the absence of color. It represents the unconscious and mystery. Its visualization can help promote deep meditation. Black also stands for evil (eg black magic). In the aura it signifies some kind of blockage or something being hidden. Trackback: What Is The Spiritual Meaning Of Underlying Diseases? | The New Age Movement - Ready for 2012?